Even though electricity prices are rapidly increasing in Western Australia, there is a great way to guard against rising bills in the future: solar energy. If you have an interest in WA solar, then read on. Through the Renewable Energy Target scheme (RET), the Federal Government substantially reduces the cost of a solar power system. Energy Matters incorporates the value of these solar credits by providing a discount at the point of sale. The level of the discount is based on system output. NOTE: Solar incentives will drop from the beginning of 2017 – act now! Synergy customers receive 7.135c cents per kilowatt hour for surplus power fed back into the grid. However, some areas serviced by Horizon Power may receive a higher or lower rate for their WA solar installation. Our Australian Solar Index clearly demonstrates solar is one of the best performing investments available to households in Western Australia. In Perth, the internal rate of return for an average system is estimated at being a very impressive 18.8%. 12.6% since July 2012. Expect further increases as a result of an abandoned refurbishment of the Muja Power Station along with an increase in the price of wholesale gas. WA’s electricity prices have risen steeply over the past 5 years. Couple this with Energy Matters’ lowest ever prices on world-leading brands and NOW is the best time to install solar panels in Perth or wherever you are in Western Australia. 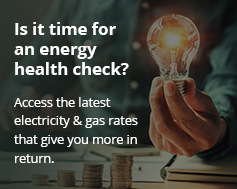 Reap the benefits of a substantially reduced electricity bill! With some of the most consistent sunshine in the country, households installing solar panels in Perth and throughout Western Australia can save around $1,400 – $2,200 on their power bill every year by generating their own electricity with a 5kW solar panel system*. With the amazing specials currently being run by Energy Matter on solar panels in Perth, solar in Western Australia has never been so affordable. We have packages at incredible prices! You can even try our no-obligation online solar quote tool to instantly calculate the system that will best suit your needs. We have good reasons to believe that Energy Matters’ service to the people of Perth and Western Australia is better than the rest. Energy Matters has completed over 1000 installations in Western Australia. Many of these solar panel installations have been in Perth, but also in the remotest locations. These include telecommunications towers on mining sites throughout the Golden State, as well as homes from Perth to Broome and Geraldton and right down to the wheat belts of Merredin. We’ve also partnered with Infinite Energy to ensure your installation is being handled by the best installers in Western Australia. Founded in 2009, Infinite Energy’s Clean Energy Council accredited team have performed more than 5,000 residential and commercial system installations in WA. Furthermore, the industry benchmark solar panel mounting system, SunLock, has design by Energy Matters and manufacture right here in Australia to handle the toughest weather conditions WA can deliver. All other system components such as panels and inverters come from the world’s most reputable suppliers. Our Perth solar team is always happy to hear from you, so to discuss your options, get a free solar quote online now. Join many other Western Australians who have gone solar with Energy Matters!